1. 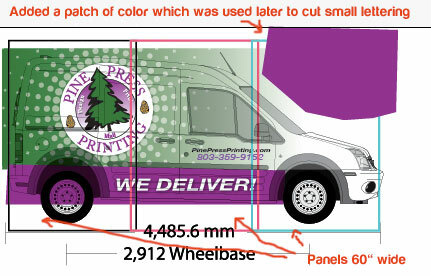 Car wrap templates are scaled to 1:20 proportions. Make sure it’s accurate. I bought my car wrap template from Artstation.com, they have vector based template. I designed the car wrap in Adobe Illustrator. Vector art can be enlarged to any size without getting blurred. It’s also faster to work. In case the template for a particular model is not available, then create your own template by taking photos from four sides and scale it to 1:20. 2. Be careful that important lettering or part of graphics are not overlapping door handles, key holes or any other area which will be removed later. 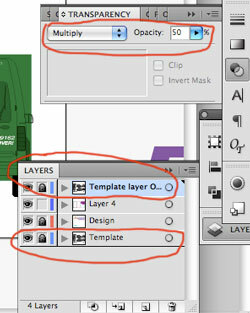 I always create one template layer and another layer as a guide layer which I place on the top, set transparency to multiply 50% and lock the layer. In between these two layers are my working layers. 3. The final output will be on a film which is 60″ wide. When you apply film on vehicle, first you apply main graphics and then match other panels. Because all the panels while applying are not stretched equal, matching graphics sometimes become difficult. Try to do design with less registration, if possible. 5. Before printing enlarge the file to life size and make sure every thing in image looks perfect. A small mistake if not corrected in time will be blown up 20 times. 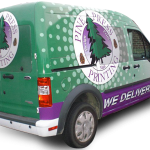 Keep Car wrap design simple. Don’t forget ‘Less is More’. Below is a link to my final wrap vehicle. I applied lettering on door panels after I shot the video, so you won’t see that part.